Meizu unveiled a new smartphone in an event in China. Dubbed as Mx5, this is a 5.5 inch smartphone with 4G LTE support. It is going to be launched as 16 GB, 32 GB and 64 GB internal storage variants. The handset is now available for pre-orders and the sale will begin on July 5. 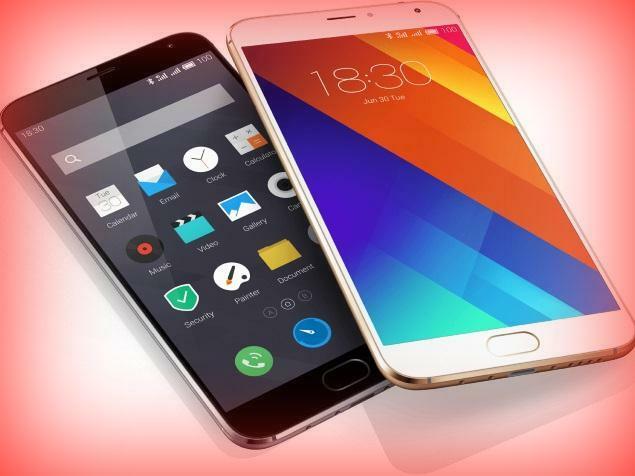 Beijing: The new offering from Meizu is MX5 which is a 5.5 inch display smartphone. The screen is having resolution of 1080 x 1920 pixels. Pixel density is 401 ppi. The handset is powered by MediaTek Helio X10 octa core processor whose clock speed is 2.2 GHz. The processor is paired with 3 GB RAM. Internal storage is 16 GB. The handset has 20.7 megapixel camera at rear and the secondary camera is a 5 megapixel camera that can be used for taking selfies and also for video calling. It runs on Android 5.0 Lollipop operating system. This handset also supports 4G LTE apart from other regular connectivity features. This dual SIM smartphone has proximity, gyroscope, accelerometer and ambient light sensors. The handset comes packed with 3150 mAh battery. Meizu MX5 comes with metal body and fingerprint scanner which is also the physical home button which is ideal for one hand operation. The company has not revealed its plan of global rollout of the handset. The 16 GB variant is priced CNY 1799; the 32 GB model is priced CNY 1999 and the 64 GB variant will come with a price tag of CNY 2399.